A roast turkey contains a lot of meat, usually too much to eat in one sitting. This is a guide about leftover turkey ideas. You don't have to stuff yourself with all that turkey right away. Cut it up into bite sized pieces, and measure the turkey into individual freezer bags. 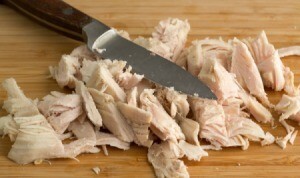 Divide the turkey into the amounts you normally use turkey or chicken in recipes. Next time you want to make a casserole or something, your turkey is all cooked and measured for you, and you just have to toss it in with the other ingredients for a quick dinner. And it isn't as boring as two weeks of turkey sandwiches! I always do this too. I think that's why we love turkey so much and never seem to tire of it. The only thing that I do differently is, after I make stock, I put the leftover meat into rigid pint freezer containers and pour stock over it. It keeps the meat juicy and prevents it from getting freezer burn. The meat seems to keep in the freezer a lot longer this way too. When I'm ready to make a casserole, I already have the stock, so I just thicken it instead of using cream soups, etc. Or, if I don't need it, I save it for soup or gravy at a later time. The instructions for stock by susanmajp are very good. The only thing I would add is to start the stock with cold water, set the burner on low and let it come to a simmer slowly. This brings more good stuff out of the bones. I usually have a pot with cold water on the stove and start throwing bones in there right after dinner adding leftover raw celery and carrot sticks, etc. 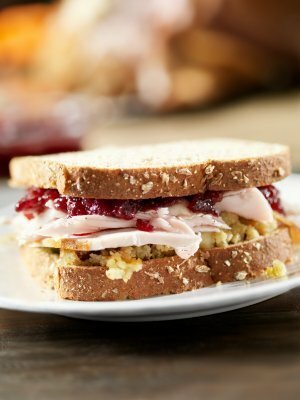 This page contains recipes for using leftover turkey. Don't let that yummy leftover Thanksgiving turkey go to waste. From pot pies to turkey sandwiches, there are a multitude of ways to use up that leftover turkey.